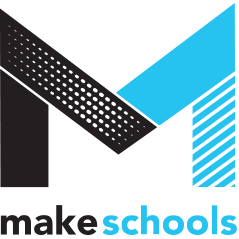 The Maker Movement is beginning to touch hundreds and thousands of people across the country, and when communities are benefiting from shared spaces and tools used to design, create, and innovate anything imaginable. "Making can be called creating, producing, crafting, shaping, tinkering, composing, and building. It covers many areas of interest and many skills, and projects often combine several of each. Making sits at the intersection of art and science, and at the crossroads of technology and design. Today, Making is where hardware and software are re-connecting with each other, increasing our ability to sense the physical world and initiate actions that interact with us. This is what a robot does -- or autonomous vehicle or a solar-powered toy that comes alive by day. When we Make things, we learn to gain control over tools and materials. Makers are using new tools and technologies that are democratizing production. With better tools, more people can make things because it is easier to take an idea and develop it into a physical thing." Within Higher Education, it gives students the opportunity to apply knowledge of science, technology engineering, math, and art through hands on applied exploration, it creates new potential for research and innovation in material science, industrial design and additive manufacturing and it creates new entrepreneurial avenues for ideas to transition beyond the institution and into industry.